Lucy Grace was born last Wednesday and I Swear- we all were in labor along with my sweet daughter and her husband. How joyful we are at Lucy’s healthy and safe arrival! 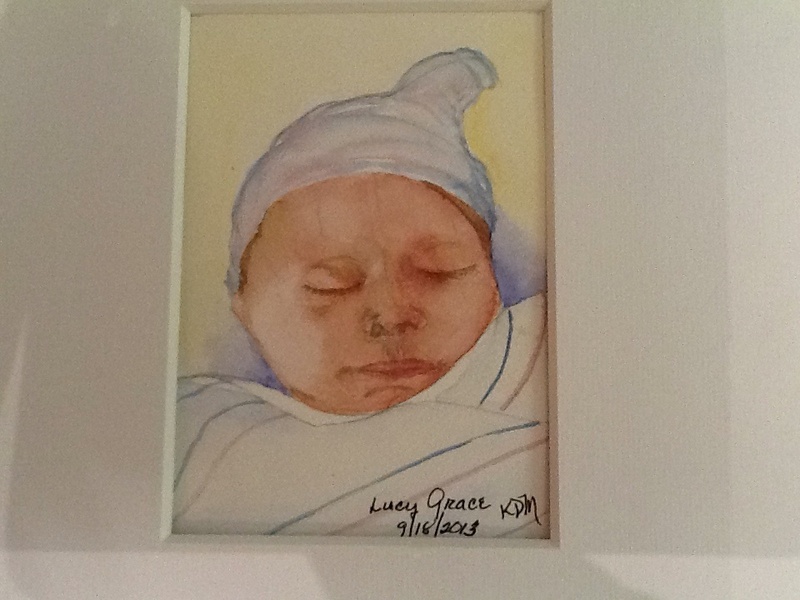 May God richly bless you and bless your family and the world with your one unique and precious life, dear Lucy! My sister’s dear dog has just died. He was a character and just about the luckiest dog ever because Julie and David were patient and loving owners. I know they are missing him. I painted this for them and will send it along to them tomorrow. It’s so hard when your dog dies! RIP Hilbre! The finals of the Open were terrific! Serena is definitely not a watercolor so I tried my hand at acrylic using a palette knife. What I wanted to show was not only physical fitness, but especially the inner determination and discipline it takes to excel…true for us all. 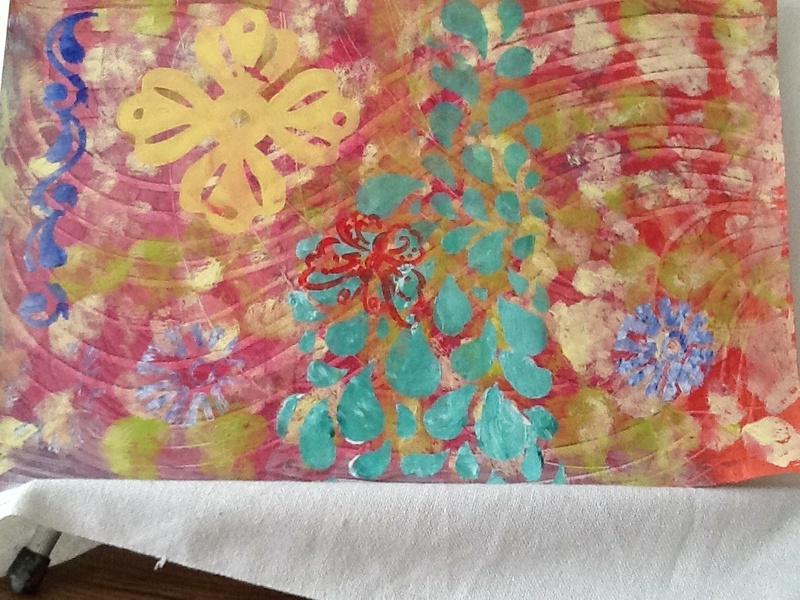 after layer of acrylic paint to my papers then making marks-folding and stenciling and finally crumbling the sheets. It was impressive to experience how much the paper could tolerate- kind of like people and the challenges of our lives. Layer upon layer only added to the beauty. Some of the marks made early on actually showed through adding dimension, much like those ” learning experiences”as we grow up. Being spontaneous meant I really didn’t know what how any of my papers would come out and yet in the end they each had beauty and character!